Building a career in the acting and modeling industry is hard for anyone. So, why is it believed to be harder for pageant participants? Are they any less talented, less capable, or less prepared than other ? And do pageants provide contestants and their parents a false sense of hope in their pursuit of their show business dreams? Of course, there are girls of every type who fulfill some of Hollywood’s negative pageant stereotypes. And there are, of course, a few pageant systems that prompt those so-called negative qualities. Some promote the “glitz” more so than the “substance” and may therein develop in their participants what industry professionals would term “bad habits.” But many systems provide well-rounded opportunities, so that their contestants comprise both the beauty and walk with the personality and communication skills of a versatile competition “graduate.” I have met numerous outstanding young women from the Miss USA system who, once they step out of the gown and stage makeup, are well-rounded and “regular” girls. Several have become extremely successful in the acting world. The National American Miss (NAM) system provides its contestants (teens, preteens and younger) with spokesmodel and clothes modeling competitions, and even a commercial acting competition following instructional seminars conducted by talent professionals. Quite a few of these young ladies are now effectively pursuing show business careers based on the training they experienced at NAM. 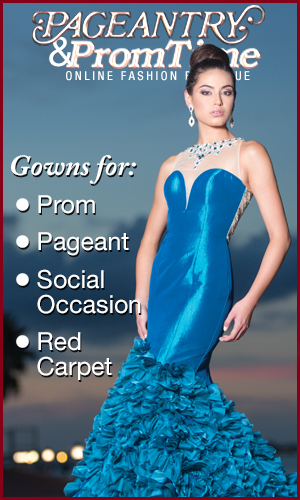 Also, the Junior America system (for Teens and younger girls) will provide a very “real person” opportunity for girls to compete in their everyday fun wardrobes, gowns (often the prettiest Sunday dress in the closet), and a chance to speak to the judges (all professional talent representatives, from both the national and local markets). Many of these girls are later signed by the agents judging them, work locally, and then move on to national markets and careers. These pageant systems, as well as many others, provide the opportunity to learn. The girls who take advantage of these pageant opportunities can exceed expectations and achieve success in the very competitive world of show business. • Do not tell agents you have pageant experience. Why present any preconceived negative thoughts they may have before they see your work? • Take acting classes (dance and voice) to prepare for the medium you intend to pursue (stage, film, television, commercials). Good performers study every day. • Learn the difference in acting techniques versus pageant stage techniques. (The strengths and the subtleties). Don’t assume you know them. • Find the look that is comfortable and displays your real personality everyday—the look your friends and family recognize at school and at play. Make that the look that you walk into the audition with. • Get pictures (headshots) that look like you with that “everyday” look. The “real” girl with minimal, if any, makeup and age appropriate clothing and hair. • Do your homework. Use all resources to find the legitimate agents, casting directors, and production companies in your locale as well as in the closest metropolitan city. • Work in your local market to gain experience, build a resume, hone your skills, and learn the business—including its ups and downs—before you feel the need to move to New York or Los Angeles. Many actors make solid livings in local markets across the country and prefer to stay there. But, of course, if you want to work at the top level in film and television, or on Broadway, you will eventually need to move there to compete. Not every young lady is ready to be a star, or even a working actress, just because they do well at a pageant. But many competitors develop skills and talents that can help them succeed in their chosen career, whether it be show business or the corporate world. And if they prepare themselves to compete in the acting profession with the same dedication that they put into their pageants, they will be hard to stop. We industry professionals have found talent at conventions, local theaters, showcases, airports—even crossing the street! We expect to find bad habits, shyness, and inexperience along with the potential. So why not find the talent within a group of people (at every age) who are, like most of Pageantry’s readers, not only pretty but also articulate, poised, confident, and experienced? Why not you?